It's Iditarod time. folk! Iditarod 2012 starts this weekend on March 3. Check out Iditarod.com for more info on this year's mushers and to keep track over the next few harrowing days as these teams race for Nome. 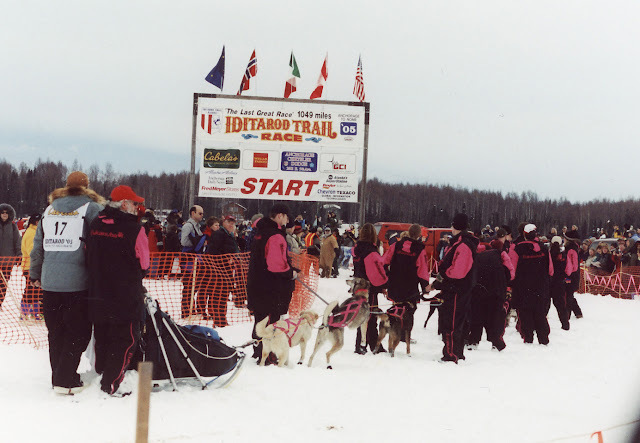 Photo above is from Iditarod 2005. The kid is a junior dog handler, helping to bring Rick Swenson's dog team to the start line. Derek is the guy in pink and black near the front. See him? Yeah, he also has a white ballcap on. Anyone who wonders if these dogs really want to run this race, just check out the wheel dog, second up from the sled. On two hind legs and rarin' to go. These dogs love to pull. Which is also why it takes a human team to handle the lot of them at the start line. 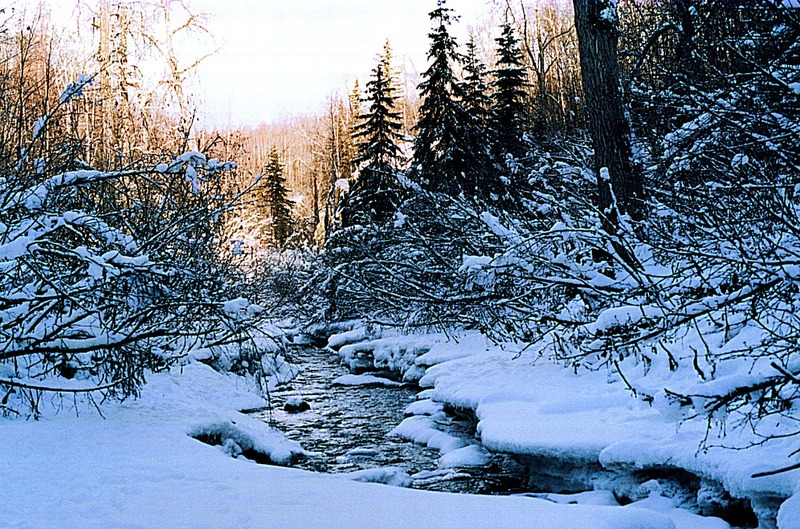 The kid took captured this serene Alaskan landscape. I sent him off during a hike at Thunderbird. Between the altitude and my general out-of-shapeness, compounded by a chronic case of the clumsies, I didn't dare venture off the trail. Instead, I handed the camera over to the boy scout and let him have at it. The kid has an artist's eye, indeed. Here we have in this short video, just under four minutes, that covers . . . Words from a family who volunteer for Canine Companions for Independence as puppy raisers. Fifteen year old Katie Weiss talks about what it means to raise CCI puppy Jaleen. O'Shea, a facility dog that helps with the grieving process after a loss in a family. The Skilled Companion team of Inga and Joseph. Footage from the February 2012 CCI graduation in Delaware, OH. CCI touches so many lives in positive ways. And this particular video brings things even a little closer to home for us. We have met, or are close friends with, so many of the amazing folk seen in the video. A glimpse of our heroes and mentors, the Amos', who were our inspiration to be puppy raisers. The voice of Suzanne, CCI's puppy program manager. We would surely go astray if not for her wise guidance. And we see a few of the graduate teams that keep us grounded in this puppy raising business. Why do I open my life and home to a dog that's not mine? Just to give the pup back after sixteen months? Because there's a chance we might become part of something bigger than ourselves. Because of people like Joseph. We brought Inga home at eight weeks old and said good-bye to her such a short time later. A kiss on the nose, a long hug and our wishes to go do good stuff. And by God, did she. You know, all these dogs touch my heart in some way. But the lovely Inga, my first CCI love, holds that special place. I'm so proud of her, so proud of Joseph. Good girl, Inga. We love you. 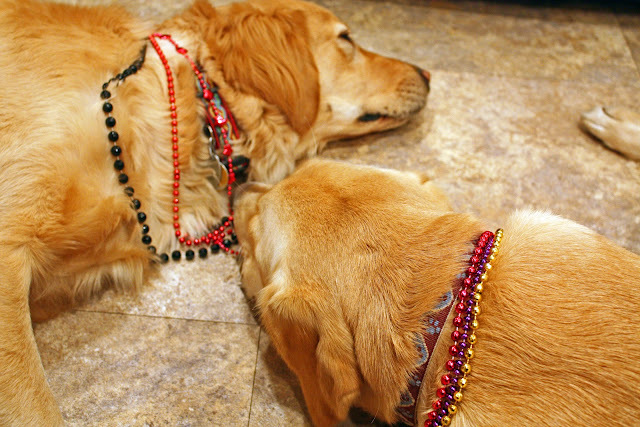 Do we want to know what the dogs did to earn those beads? Right, probably not. But knowing the cat, he'll rat them out. Guess I don't know the cat like I thought. 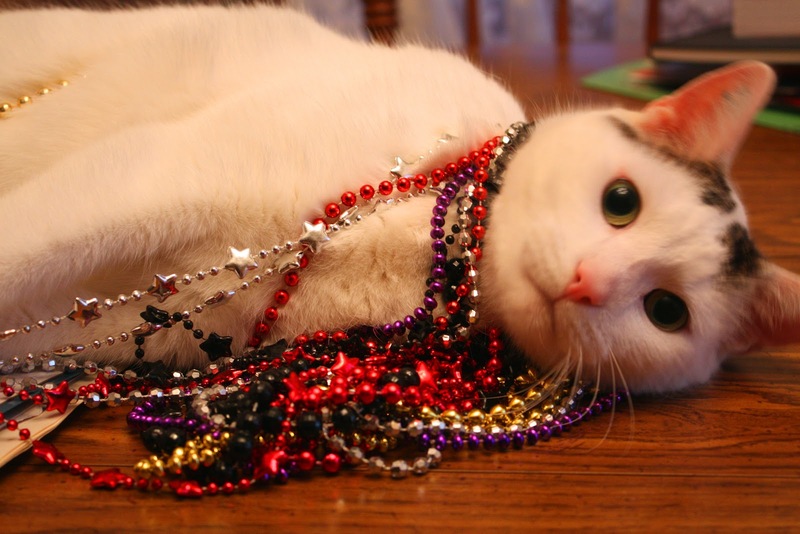 Actually, we borrowed the beads from college boy's bedroom. And how did he come about owning these? That story, my friends, is indeed one I don't need to know. "Yaxley's teeth are so white!" a friend observes as the yellow dog stretches out a big horsefly-catching yawn. Well, they should be, I say. He just got them a few months ago. And we all know that February is National Pet Dental Health Month, don't we? Yep, for real and everything. An entire month dedicated to the chiclets of our four legged friends. Complete with a bonus day cuz this is a leap year. To raise awareness of this National holiday, the boys have offered a photo demo in canine dental care. Of course, a Google search will net you a collection of excellent choices designed for educational purposes. 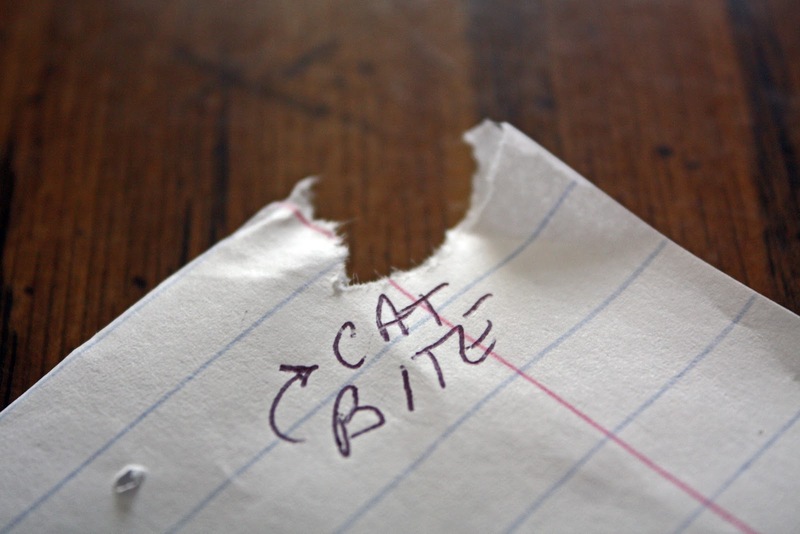 A great place to start is at the AVMA's website. Some may find the video helpful in seeing exactly how you get a toothbrush into a dog's maw in a manner that may actually do some good. The veterinarian patiently explains how to introduce your pet to the dental paste and toothbrush over a few days before doing the deed. Solid advice, I think, for the skeptical pets of the world. I, however, have lab/golden crosses. I have never (Never!, I say) seen these fellas reject anything that went into their mouth. The trick is, and has always been, getting said object back out of those murky depths. So, I merely slap some poultry flavored toothpaste on the brush and they all line up. Introductory period? I think nae. 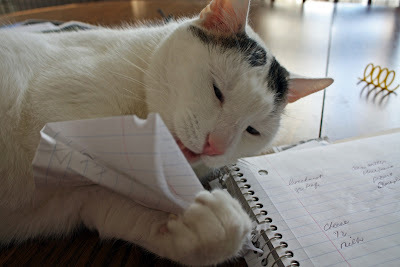 So with all these websites out there on the grid that offer pet dental care tips and tricks, what could I possibly have to offer you? Well, fasten your seatbelts, people, and prepare for a wild ride. Because just for you, I offer pet dental care photos . 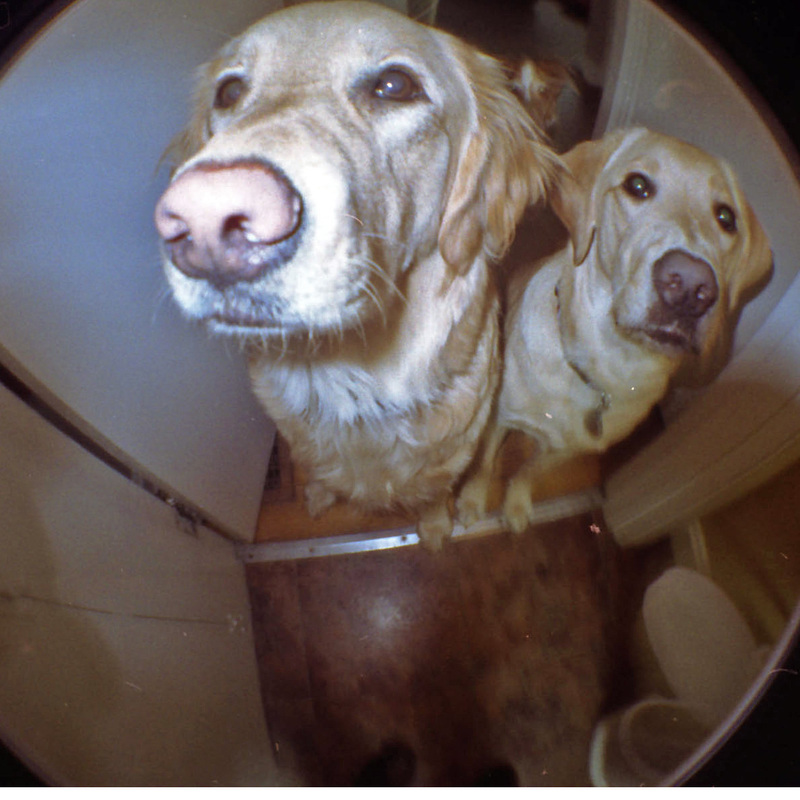 . . taken with a Lomo Fisheye camera! Wait! Don't go! I know, I know. There's no way anyone can enjoy this as much as I did, but hang with me for just another couple of minutes here. For all you normal, healthy-minded folk, I must explain. The Lomo is a funky little plastic camera gadget that spits out images in that gritty genre of artistic expression. Proportional distortions, off colors, totally unreliable exposure, and light leaks -- it's a geek's dream of a camera. It even needs film! Remember dropping your film off at the drugstore and actually waiting to see your photos? One-hour processing seems like an unbearable eternity to see what your camera had wrought. This is geekery topped off with nostalgia. 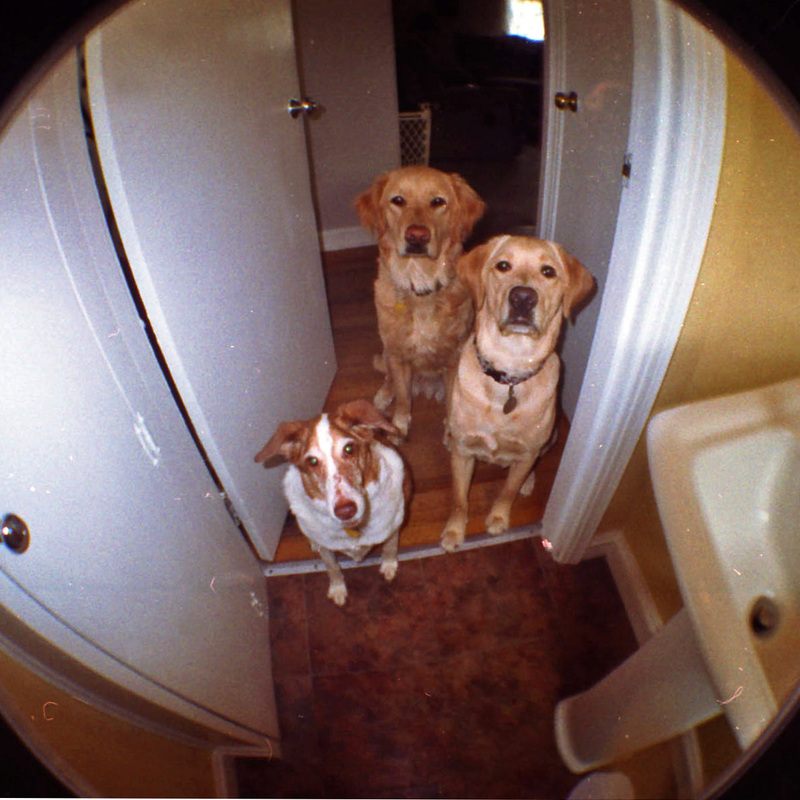 So anyway, here's Jager, Micron and Yaxley watching me load the poultry flavored pasted onto their personal toothbrushes. How do I know it actually tastes like a domesticated bird? I guess I don't really care what the flavor is, so long as I don't have to work out a six day introductory period with the dogs. 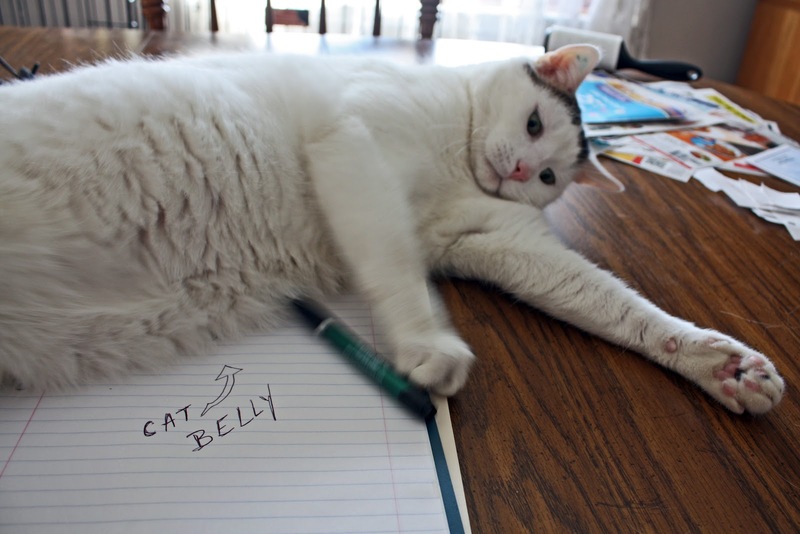 It could be cat snicker flavored for all I know. Theoretically speaking and all. This is our downstairs half bathroom and yes, it is indeed that small. Like a water closet, except we don't say it with a British accent. We had to custom order that dollhouse sized sink at the last remodel of our 60 year old abode. (My mantra - the house has charm, the house has charm . . . ). Don't accept this next shot as proper dental cleaning by any means. I only have two hands and one is holding the Lomo. To pull up Yaxley's lips to get to his pearly chiclets, I would need another hand. Or Jedi skills. Yeah, same here with Micron. Not a real demo of technique. But it does show a sense of camaraderie with Yaxley's valiant attempt to take one for the team. The plastic lens cap hanging in the lower left corner is a special plus for this shot. Please sir, may we have some more? they ask. 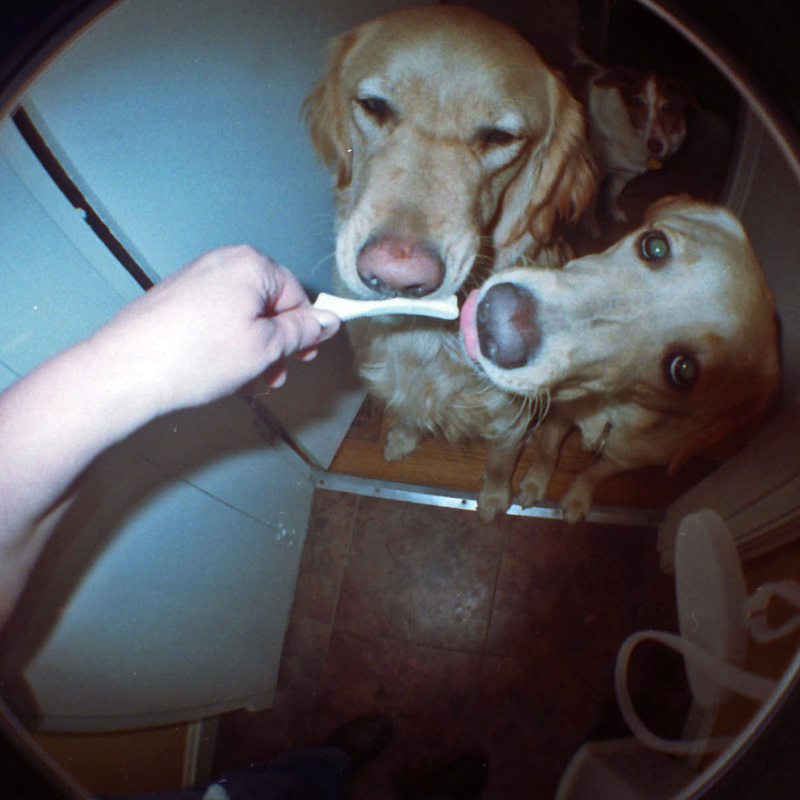 Dental care is only one part of the trifecta of grooming fun. We got your nail clipping and coat care, as well. But we'll just have to wait until National Make a Self-Aware Tribble with your Dog's Fur Day to cover the rest of this adventure. Don't get me wet or feed me after midnight. Today's "Would You Rather" challenge: Would you rather have a third hand or Jedi skills? My vote is for the Jedi skills. The Force is all around us and, well, the challenge doesn't make clear exactly where that third hand will go, now does it? Same intelligent locked-on-you gaze and those little adorable eyebrows. Ears soft as velvet. 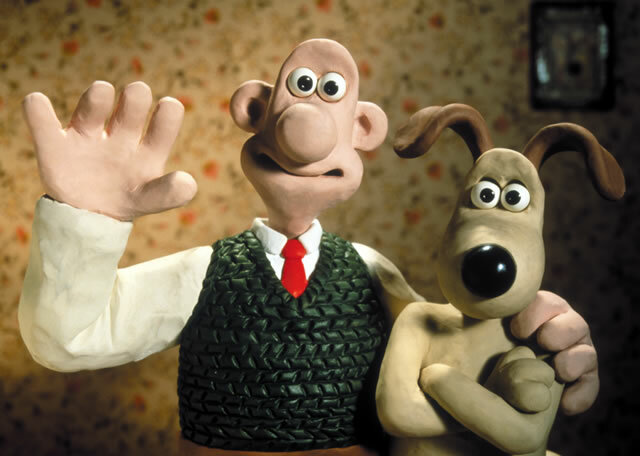 And that same serious mouth as designed by the Wallace & Gromit cartoonists. But a whole year older now. 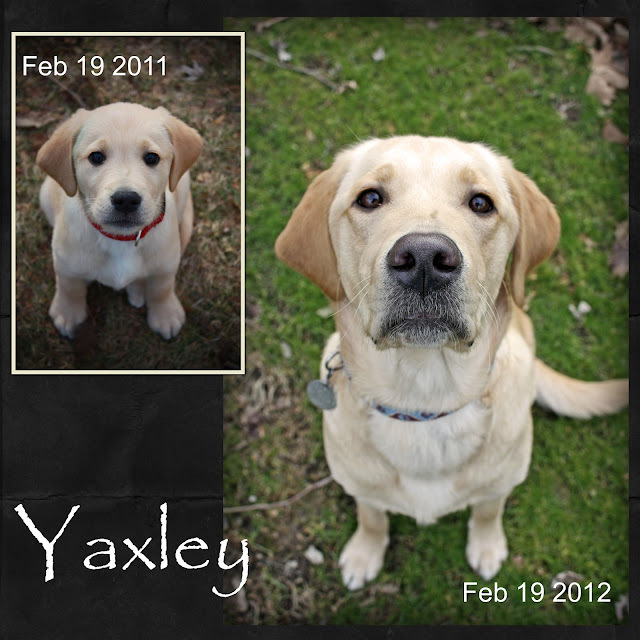 February 19 marks the milestone event of bringing a third dog into my home (see Newest Golden Child ). How many dogs can I have and still be married? Today, the answer to this is the same as last February. That would be three. We welcomed this cotton ball called Yaxley into our family to train and socialize for the next eighteen months for Canine Companions for Independence. The Mighty Micron was still a pup in training last February, so we did overlap two CCI pups for the next three months until Micron's matriculation into Advanced Training in May. A feat of bravery we proved can indeed be done, but did require some serious attention and help from others. My friend, and sometimes cohort, Mary Ann was invaluable during this time. She is one of the unsung CCI volunteers - supportive, knowledgeable and blessedly always there when you need her. She's been the wind beneath the angel wings of seven CCI puppies. So did I learn anything new with pup #3 over this last year? Sure, I did. There's always new enlightenment to be discovered with these yellow fuzzies. Lessee, I already knew about there was no such thing as a quick grocery trip with a CCI pup. And to keep two sticky lint rollers in my purse (one for me and the other share). And that mud is my mortal enemy. They say after four dogs in your house, it's all the same. You can keep adding from there because it just won't make a difference after that. But with three, I still had some shred of value system for cleanliness. The wood stairwell seemed to be growing a coat of its own. The Swiffer WetJet was threatening to defect during the rainy season. I started to get paranoid about potluck events and brought fur-free goodies fresh from the grocery ("I bought it myself!") instead of home-cooked fare. And how does dog hair get to the top of the door frames anyway? So over the last year, I learned coping skills. And to tell friends and family to give me at least a thirty minutes heads up before they come over. I learned a single dog hair in the meatloaf ain't gonna kill ya. 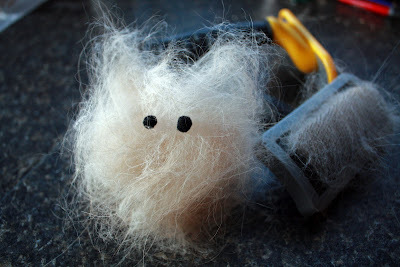 And using a fabric softener and dryer sheet combo system, it is a teensy bit more effective in getting yellow fur to release its tenacious hold on my favorite black sweater. And I learned that I absolutely love sharing my life with these wonderful critters. I'll never be renowned for my housekeeping skills and that's just fine with me. My world is filled, maybe even overflowing, with the warm companionship you can only get from a dog's heart. So if I have to pluck yet another hair from my mug o'joe tomorrow morning, I think I'll just continue to consider myself one lucky chick. 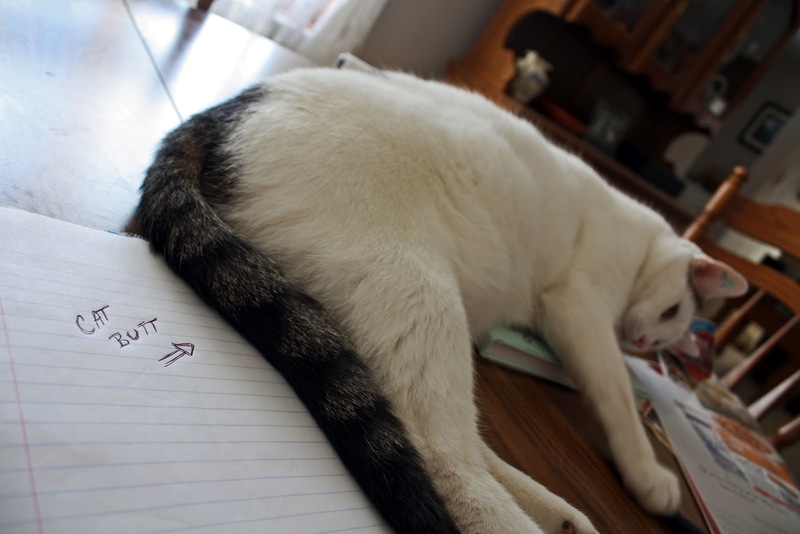 Unless it turns out to be a cat hair. That's different. When you spend your days with dogs, you may start to be aware of certain trends in behavior. We already know that Yaxley comes to work to relax after a long evening of tormenting the snot out of Jager. But we also see that some weather, particularly barometric pressure changes, makes him rather sleepy. Which, by the power of suggestion, makes us all feel sleepy. Yax naps the workday away, I chug the caffeine. 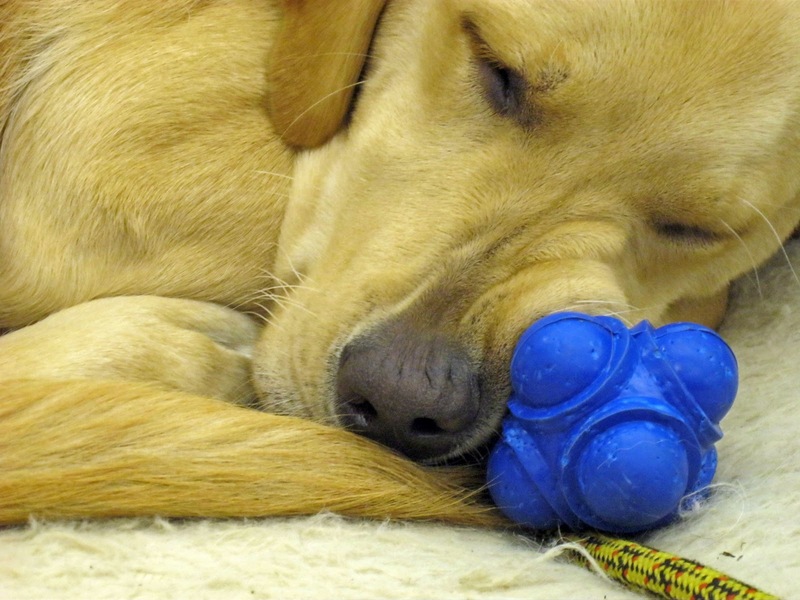 Here's Yax curled up on his bed at the office in an awkward love cuddle with a favorite toy. He's in a tight ball with his tail by his nose. Like a big yellow snoring fox with a nasal obstruction. Milk, bread, eggs . . . It's Sunday and that means grocery day for this fur-besotted household. I shuffle through the ads in the Dayton Daily for the oh-so-valuable coupons and sit to make the weekly list of various and sundry items. But alas, another ill-fated attempt at domesticity. I find it physically, and spiritually, impossible to write out the list of goods. Bodine claims it has been nearly fifteen minutes since anyone has paid him homage and he will not be ignored. What to do, but give him the respect and admiration this benevolent ruler of dogs deserves? Aw, c'mon Bodine. You just spent all morning tormenting Micron's tail. Do you really need this much attention? 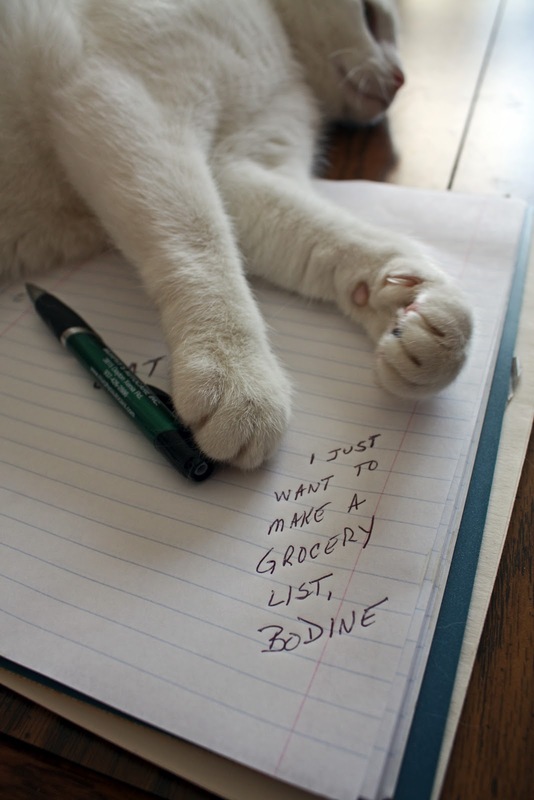 I just want to make a grocery list, Bodine. 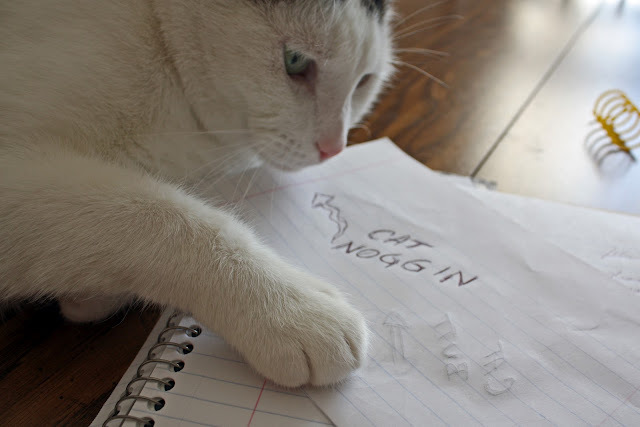 You know, I really don't think he can read. And yet, Bodine had the instinctual need to end the fun I was having at his expense. Well heck, I go the grocery pretty much every week. 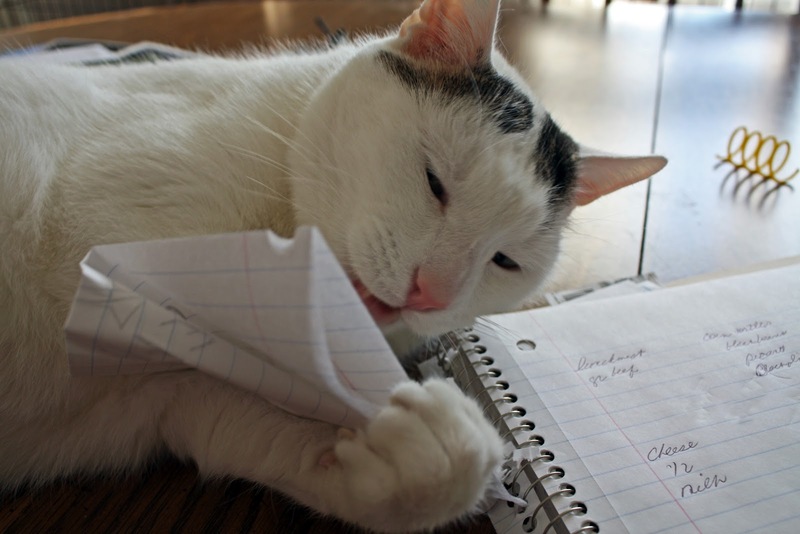 Lists are for sissies.